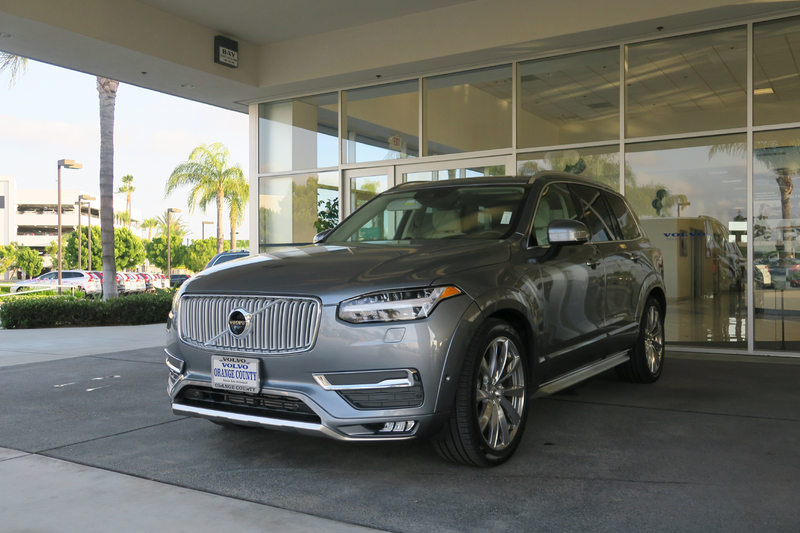 The 2016 Volvo XC90 is the second generation of the Swedish auto maker’s flagship SUV. The first generation of XC90 runs from 2003 to 2014, which is an extremely long product life. As we have mentioned in our previous article, the new generation of XC90 is extremely important to the whole Volvo brand. Recently we had the opportunity to test drive the 2016 XC90, so let’s see how the new XC90 hold up against other competitors. 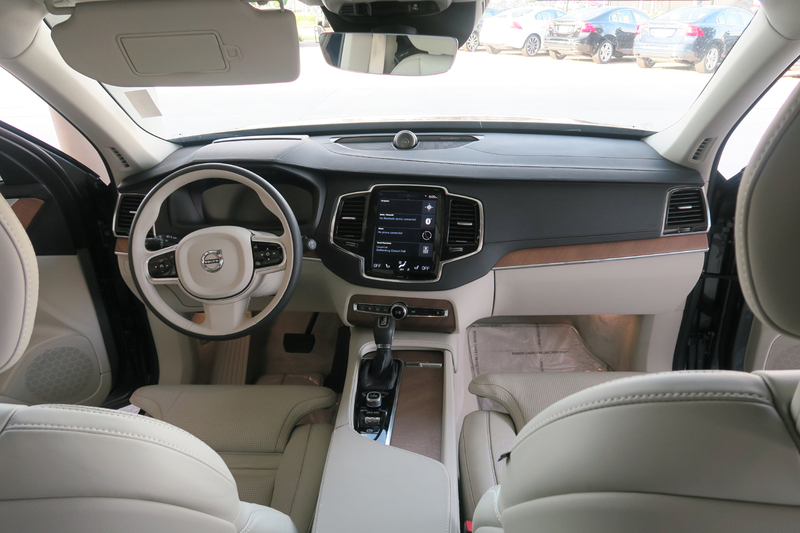 The XC90 we have test driven is the T6 AWD Inscription trim, and it is fully loaded to the level that its MSRP reaches an astonishing $75,395, a whopping $26,495 more than the base trim price ($48,900). Although we all know part of its options have nothing to do with the handling or material/assembling qualities, we still take the Inscription package and air suspension into this review’s consideration. 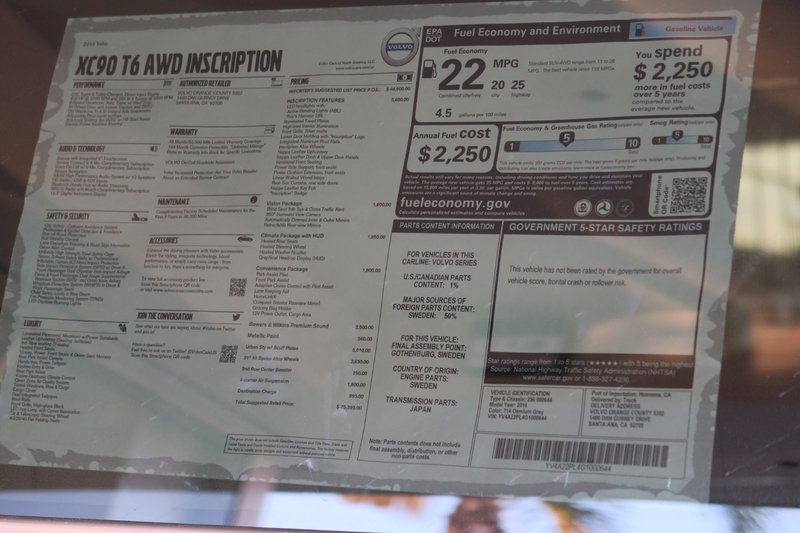 We will check this XC90 out based on SUV around the $55k price level. 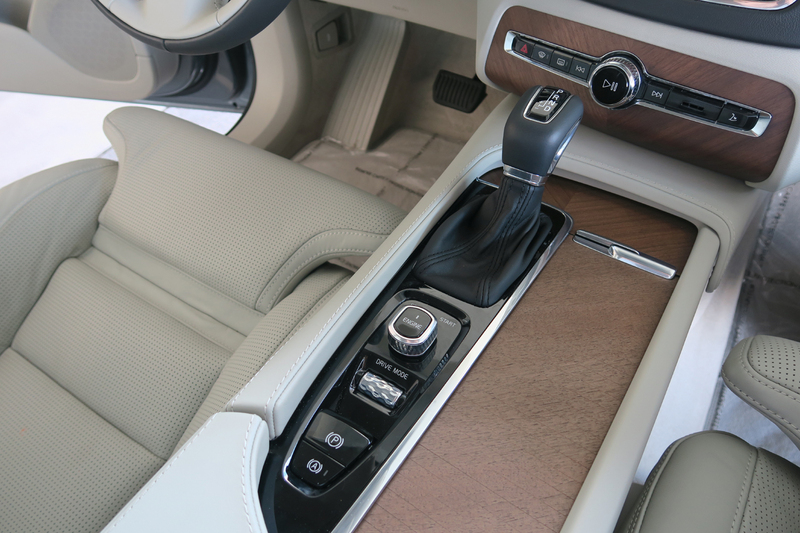 The No.1 factor that most potential 3-row-seat SUV consumers are focusing on is probably the interior space. 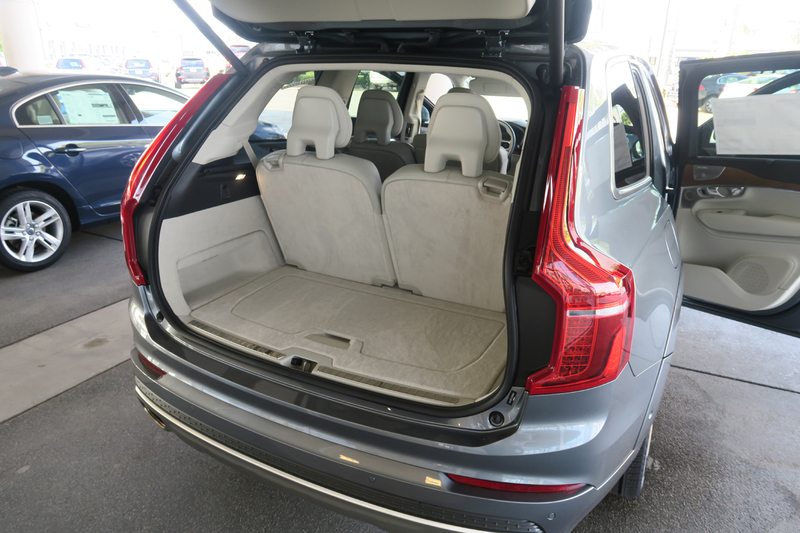 Generally speaking the XC90’s cabin is a little bit narrow, however the headroom is good for all 3 rows of seats. If the second row seats are at their most backward position, the 3rd row is not suitable to carry any adult: you must move the 2nd row at least 1-2 cogs forward to make room for the people sitting behind you. 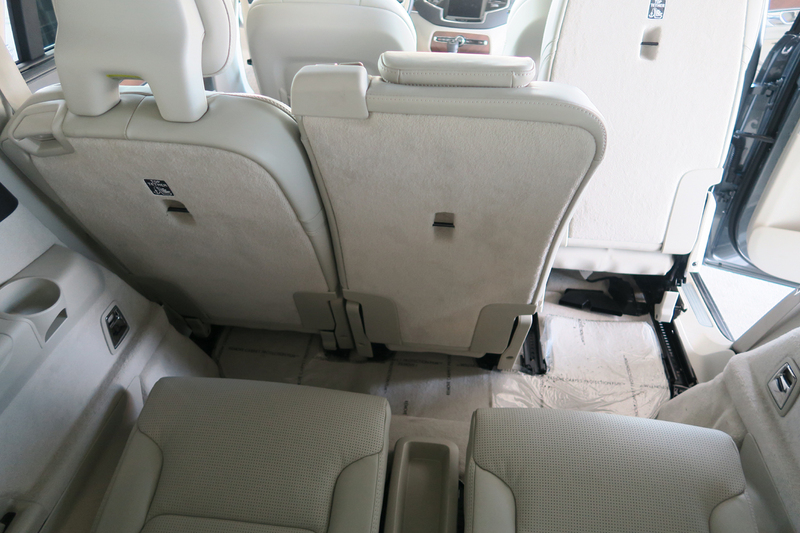 If you need to use the 3rd-row-seat frequently, I suggest you to buy a minivan instead, since it is not easy to get access to the XC90’s 3rd row seat, especially if you have already put infant/child seats in the 2nd row. 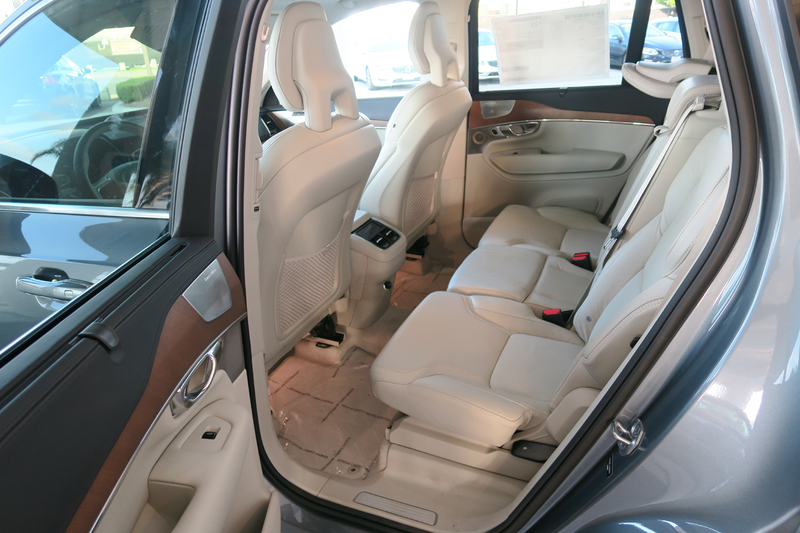 The cargo space behind the 3rd-row-seat is spacious. You can see our extensive gallery at the end of this review for more detail looks of the interior spaces. 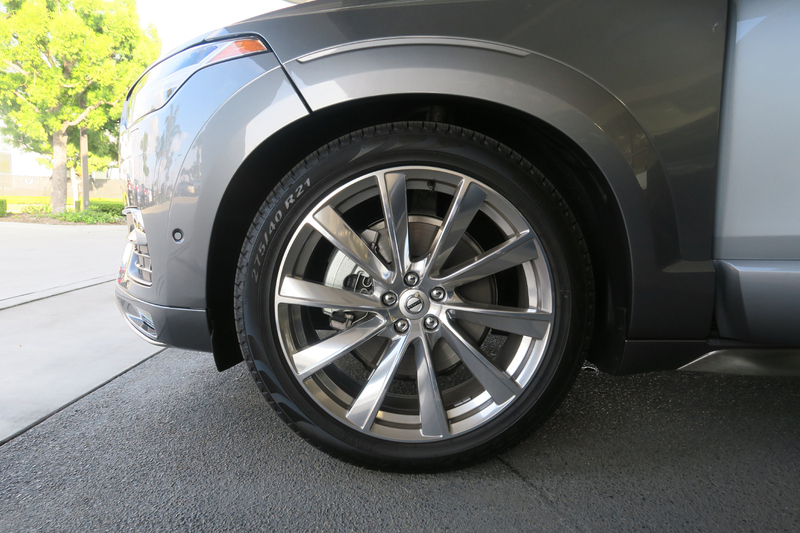 The new XC90 comes with BIG wheels. Volvo offers different wheel options from 19-in to 22-in. 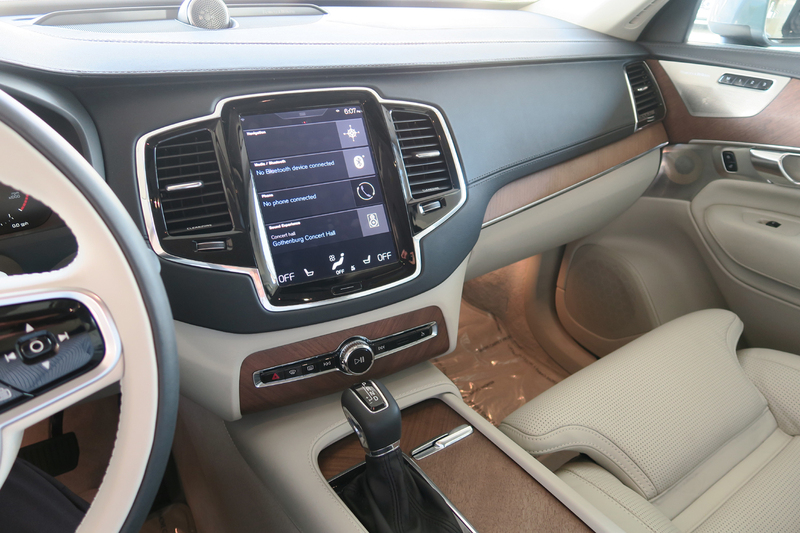 From our perspective, 19 or 20 inches is more than enough to fulfill XC90’s tasks. People buying the XC90 not for performance/handling but for daily practicality and ride comfort. Spending another $3,000+ for 21/22-in wheels (like what our test vehicle has) is simply excessive and wasteful, unless your personal taste “force” you to get those big wheels. The XC90 looks big outside, it has a modern style with a high and flat roof line, which provides excellent headroom. Interior material quality: many places are wrapped in leather, and the design is clean and stylish. Overall this is OK if the price is at around $55k, but definitely below par considering the test vehicle’s $75k+ price tag: with such amount of money, we can buy other SUV with better interior. Next let’s talk about how it drives. First is its powertrain. 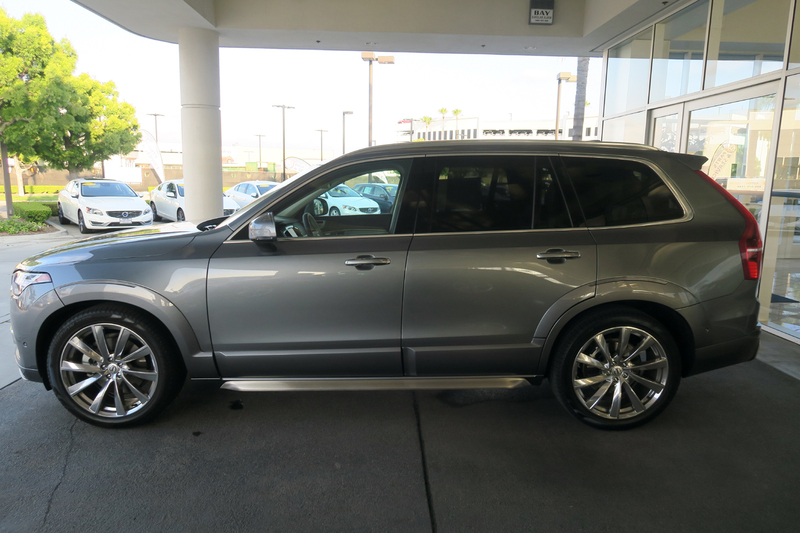 The 2016 XC90 T6 AWD has a curb weight close to 4,400 lbs. This is not light at all, however the workload is completely on a small 2.0L 4-cylinder engine. This seems to be too much, but this small engine is aided by two kinds of assist: one supercharger, plus another turbocharger. 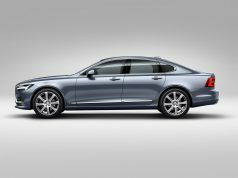 Obviously Volvo brings in the supercharger to solve the turbo lag issue inherited from the turbocharging mechanism, and tries to improve instant low-end torque. From our test drive, the engine does give you a “strong” torque feeling when the car is running slow in the parking lot. When you turn into local roads and want to accelerate, you can immediately tell you are driving a heavy SUV with a small displacement engine: to keep up with the traffic flow during rush hours in southern California, it is NOT infrequent that you need to rev the engine up to 4,500 RPM (sometimes even more than 5,000 RPM) to get enough power to accelerate from a standstill to catch the 40mph traffic flow when the traffic light turns from red to green. The power delivery in the 1st gear is just so-so, but it suddenly become quite strong after the Aisin-sourced 8AT shifts to the 2nd gear. This may be due to the supercharger and turbocharger have entered their optimal working range. Generally speaking, the XC90 T6 will be a very good highway cruiser; but you will find it quite jerky in the stop-and-go city traffic: the engine RPM will vary within a wide range, and the power delivery is not smooth and consistent within the lower-gear range. Personally I do not agree on Volvo’s decision to put a small 4-cylinder engine in a 2-ton SUV. 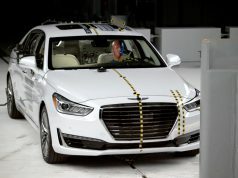 This harms the refinement of the powertrain, and offer very limited benefit in fuel efficiency. A small gasoline engine working on high load with turbocharger on, actually has lower fuel efficiency than a naturally aspirated/larger displacement engine working in medium load. The XC90 is based on a front-wheel-drive platform. Under normal conditions if there is no slipping in the front wheels, the XC90 is almost FWD only: the rear wheels only get about 5% of engine output. The T6 AWD trim is using the Haldex system, which is more like the on-demand type and rear wheels will only receive meaningful torque when it is necessary. Next we talk about the handling. This is a SUV, so do not expect handling like a sports car. Our test vehicle is equipped with the air suspension for all 4 wheels (a $1,800 option) and it filters our small imperfections on the road perfectly. However the 21-in wheel decreases the comfort level: the ride is somewhat harsher than it should be given the fact that the air suspension is quite soft. This is the reason why I suggest you to go for the 19 or 20-inch wheels. The 21 or 22-in one is just for looks, it does not help in improving the handling and also brings less comfort to the ride. 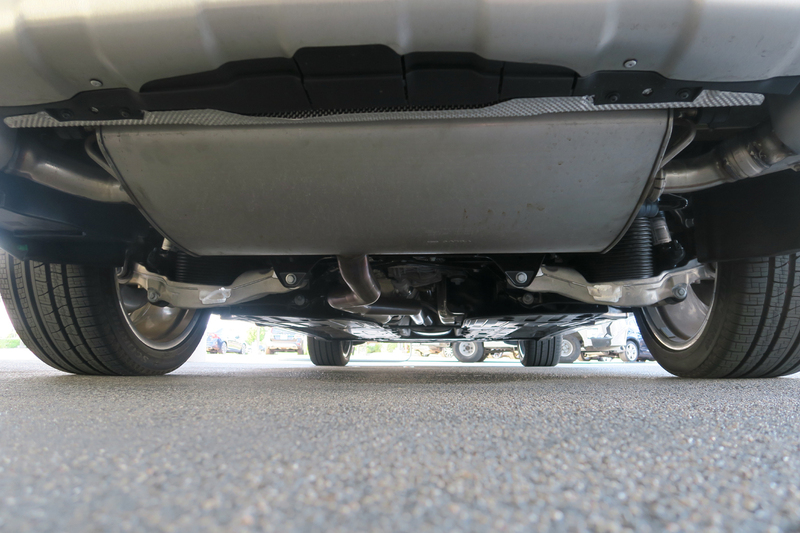 Above image: 2016 XC90’s rear suspension. 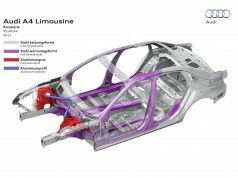 You can see its aluminum lower control arm, and also the air suspension. How about the drive mode selection? I have tried the sportier “Dynamic” mode, the only obvious difference I can feel during the test drive is: the 8-speed transmission hangs in the lower gears for longer time (shifting at a higher RPM). The damping or the steering may be adjusted too, but the difference is too subtle for me to notice. In the end I will talk about the XC90’s refinement. My major concern is its engine vibration and cabin noise level. Vibration: when the car is idling, you can feel the engine’s vibration in the cabin: put your arms on the door or center console’s arm rest, or put your hands on the steering wheel then you will know what I am talking about; this is the same case when you are driving. Cabin noise: the engine is very noisy when the vehicle is accelerating, to the extend it sounds as if there is no any sound insulation measure taken in the engine compartment and the cabin. The coarse noise generated from the 4-cylinder engine goes directly into the cabin. This should not happen in a luxury SUV. Other than the above two issues, I do not find other concerns regarding refinement at this moment. The 2016 XC90 is a big step forward for Volvo, compared to the old 2014 model: it is more rigid, more luxury and more powerful. Interior space is good if you only use 2 rows of seats frequently. The XC90 is a good highway cruiser, but will suffer from the 4-cylinder engine’s inherited physical limitation when driven in city traffic. The ride is good enough for its price level ($55k price range). If you are OK with the above-mentioned two refinement issues, the new XC90 is a good choice. The Lexus GX460, Acura MDX and also the upcoming Audi new Q7 will be three very strong competitors to the XC90.